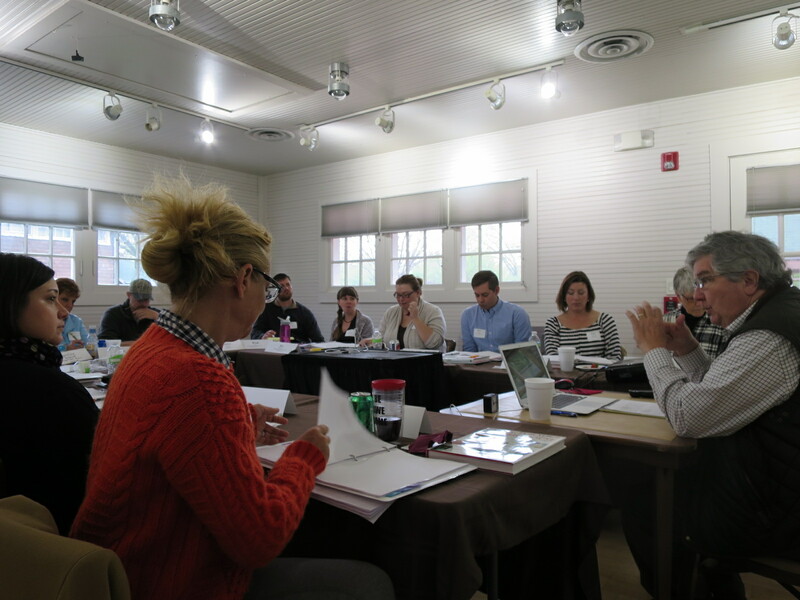 AASLH Historic House Management Workshop at Brucemore in 2016. At the annual AASLH workshop on historic house museum management, we always start by asking participants about the biggest or most important challenge they are facing at their historic site. For the participants, the exercise allows them to get to know each other beyond a name by recognizing the issues they may have in common. As the instructors, It’s an opportunity for George McDaniel and me to ensure we address their concerns. For AASLH, it’s a way of keeping a finger on the pulse on what’s happening in the field. At the end of the workshop, we review the list and provide some time for participants to develop a plan to address their issue. As a reminder, they also fill out self-addressed postcards with a message to themselves, which I’ll mail to them in six months. Moving the local historical society into a historic house, so how do we use the house’s history to tell the larger story of the city and county, as well as the house. Moving town museum into a historic house, so how to interpret both the house/family and town collections? How to renovate the house for museum purposes. Preserving 1894 house and telling town history in the same place. An all-volunteer organization concerned about burn-out. What are the best ways to preserve the collections when we have no environmental controls (tarnishing of silver, textiles, rugs, photographs)? How to raise funds to maintain buildings at a state-owned site. What can we offer family and friends when we re-open historic house to the public. Finding new ways to interpret the house to keep it engaging and interesting. How to change community perceptions of the site/museum—it’s more than an event center. We need a consistent message about what we are and funding needs. Attracting funding, developing maintenance plans and building attendance at a very rural location. Balancing long-term thinking versus everyday demands. Balancing preservation/conservation with being more available/access/education. We’ve had success but need a plan for where to go next. Need to take a look at the bigger picture of operations and management. How to educate the board about the challenges and needs of museums. How do I better prepare students for careers in museums (particularly historic sites)? (from a university professor). This entry was posted in Community engagement, Fundraising, Historic preservation, Historical interpretation, Strategy, Training and tagged American Association for State and Local History, Brucemore, Iowa on May 6, 2016 by Max van Balgooy.